Death isn't something easy to discuss let alone plan for, however, estate planning should be considered as a means of eliminating any uncertainties that may affect your loved ones after you become incapacitated or die. With just a little preparation now, you can save them from any of the added stress and hopefully allow for them to grieve your passing with the financial burden alleviated a little and the process a little more manageable. The first and most important step in protecting those you love is to make a living will. Most people don’t realize that their spouse doesn’t automatically inherit their estate when they die. 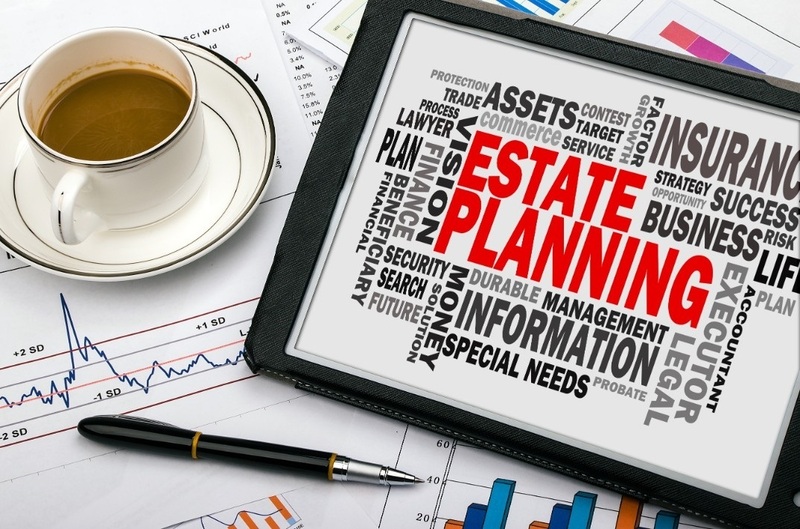 A Will is the foundation of your estate plan, as it indicates your wishes. You need life insurance to cover lost income after you pass. It is a good plan to have enough life insurance 10 times your annual salary. Having enough life insurance is important especially if you have children, parents or other relatives that are financially dependent upon you. A trust is a document that shows how and when your assets should be distributed after your death. A trust is used to minimize taxes, avoids the probate process of transferring property from you to your beneficiaries and name who will care for your minor children after your death. You can have a trust that is established for children that are below 18 when both parents die. This trust enables a trustee to use the trust to take care of the children’s expenses until they turn 18. There is also a special needs trust, which is used to provide help for any dependent that has a disability to avoid any form of compromise with Medicaid Social Security or other governmental assistance. When you become unable to act on your behalf, this authorizes an individual to handle matters for you and your best interest. You need to decide if you want a standard durable power of attorney, or a springing power of attorney that requires the declaration of a doctor that you are incapable or incompetent before it can be active. You have two types, the medical power of attorney and the financial power of attorney. Arrange all important documents and store them together. Make sure the original documents are stored in a protected place that your estate executor can access them and your attorney should be aware of it. Your attorney should also have copies of the documents in case the originals are damaged or lost. As there is no point in having these documents if they aren't safe or nobody knows where they are. This document states preferences of your end of life, such as if you want to be placed on a respirator, or if you want a feeding tube. It can also include a living will, do not resuscitate order and medical power of attorney among others. It is important to update your beneficiaries. We’ve seen instances where a beneficiary dies before you, in such case, it might create legal and tax issues. And there are some names we might want to remove from your beneficiary list maybe your ex-wife or ex-husband.